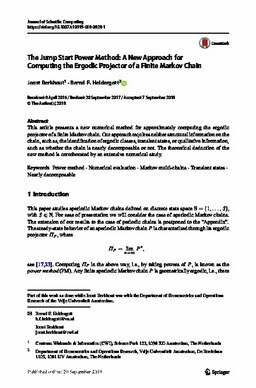 This article presents a new numerical method for approximately computing the ergodic projector of a finite Markov chain. Our approach requires neither structural information on the chain, such as, the identification of ergodic classes, transient states, or qualitative information, such as whether the chain is nearly decomposable or not. The theoretical deduction of the new method is corroborated by an extensive numerical study.